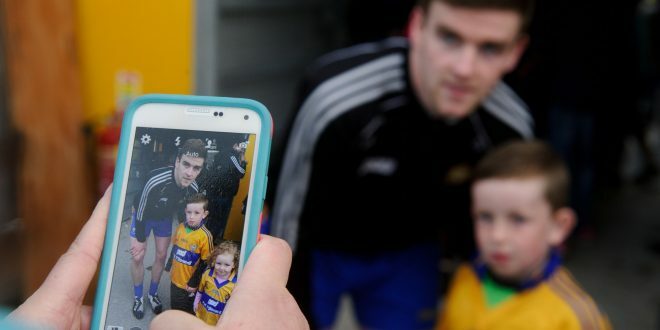 Tony Kelly of Clare poses for photos with young fans. Photograph by John Kelly. TIPPERARY did not compete in the recent Munster Senior League, opting instead to concentrate on preparation for what most see as a huge year for the team. Favourites to win last year’s All-Ireland title, there was disappointment amongst their followers when they went out of the race to eventual champions Galway at the semi-final stage. 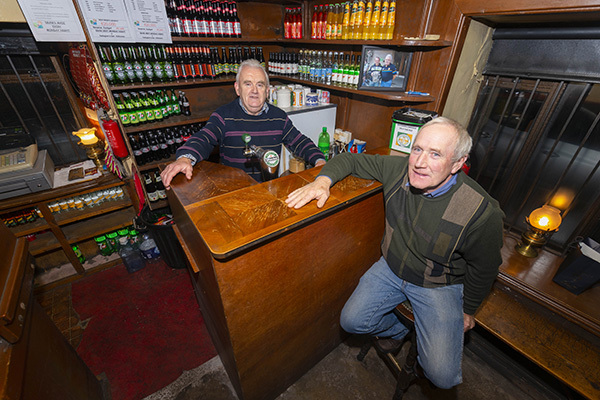 After taking time out to consider their next move, manager Michael Ryan and his team agreed to continue for another term and all reports suggest they have prepared well for the new season. They hammered Galway champions Liam Mellows in a recent friendly and, according to reports, such was their sharpness that Clare will face a tough test when the sides meet in the opening round of the National Hurling League at Cusack Park on Sunday, where the throw-in will be at 2pm. It is expected that Clare will be picking from a panel similar to that which was available for the Munster League final, when they lost by six points to Limerick. Jamie Shanahan, Oisín O’Brien and Rory Hayes are all struggling to shake off injury and are unlikely to be available for Sunday’s tie, while Aron Shanagher (injured), Cian Dillon and Aaron Cunningham are out of the squad at present and won’t play any part in the league. Eighteen-year-old Diarmuid Ryan impressed in the Munster League but the Cratloe teenager will be focussing on the Dr Harty Cup semi-final this week, when he lines out for Ard Scoil Rís against CBC from Cork in the semi-final of that prestigious competition. “Diarmuid is a great prospect. He is one of three minors we brought in to give them experience. He has a Harty Cup tie on Saturday and we don’t want to distract him from that and playing in colleges competition is one of the big memories a player takes from their career,” joint team manager Donal Moloney said. It is expected that the management will continue with the experiment of playing Conor Cleary at full-back, where he has done well during the Munster League. Team captain Pat O’Connor, David McInerney, Seadna Morey, Jack Browne and David Fitzgerald are pressing for places in the back line. Clare will also be looking to the likes of Colm Galvin, David Reidy, Ryan Taylor, John Conlon, Tony Kelly, Conor McGrath, Cathal Malone, Peter Duggan, Shane O’Donnell and Podge Collins to cause problems for Tipperary. The Premier County side will carry the favourites’ tag, despite the fact that they will be without outstanding forward Seamus Callanan, who is expected to miss most of the league campaign, due to a back injury. The recall of Cathal Barrett will, it is believed, strengthen their defence, which is also expected to include the Mashers, Padraic and Ronan and James Barry. Michael Breen, Brendan Maher, Stephen O’Brien, Patrick ‘Bonnar’ Maher, John O’Dwyer, Niall O’Meara and Noel and John McGrath are all believed to be in the running for places in the Tipperary line-up and their presence will, clearly, present Clare with a massive task. Victory in home league games is important and, with just two of their five matches in the upcoming campaign set for Cusack Park, Sunday’s opening tie is critical. If reports regarding Tipperary’s form in recent challenges are accurate, then they are entitled to carry the favourites’ tag into Sunday’s game.